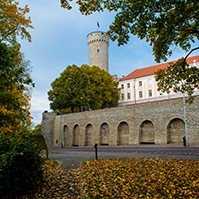 The Riigikogu passed with 64 votes in favour the Act on Amendments to the Implementation Acts Regulating Civil Law Relationships Act (155 SE), initiated by Members of the Riigikogu Olev Laanjärv, Sven Mikser, Ain Seppik, Liina Tõnisson and Harri Õunapuu. 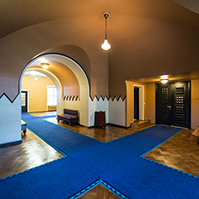 The aim of the Act is to extend the term of entry into force of the restriction to transfer a building or a part of it as an immovable from still in force 31 December 2003 to 1 March 2006. At the same time § 16 of the Law of Obligations Act, General Part of the Civil Code Act and Private International Law Act Implementation Act was amended with subsection 2, pursuant to which in case of a building, its legal share, a dwelling privatised as a physical share, non-residential premises located in a dwelling, an apartment transferred to the ownership of a member of the housing association, an apartment transferred to the ownership of a former member of the apartment association or a physical share incurred upon the termination of a common ownership, the right of pre-emption may be exercised within two months after the receipt of the notice specified in § 249 of the Law of Obligations Act. 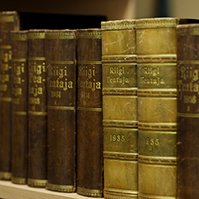 The present Act enters into force on the date following its publication in the Riigi Teataja. Nobody voted against the Act and nobody abstained. On the motion of the Economic Affairs Committee as leading committee the second reading of the Bill on Amendments to the Minimum Stocks of Liquid Fuel Act (194 SE), initiated by the Government of the Republic, was concluded. The third reading of the Bill will be on Thursday, December 11 of the current working week. On the motion of the Economic Affairs Committee as leading committee the first reading of the Bill on Amendments to § 74 of the Trade Marks Act and to § 66 of the General Principles of the Legal Regulation of Industrial Property Act (205 SE), initiated by the same Committee, was concluded. Motions to amend are to be submitted to the leading committee by today, 9 June, 14.00. The second reading of the Bill will be on Thursday, December 11. On the motion of the Legal Affairs Committee as leading committee the first reading of the Bill on Amendments to the Code of Enforcement Procedure Act (210 SE), initiated by the same Committee, was concluded. Motions to amend are to be submitted to the leading committee by today, 9 June, 15.00. The second reading of the Bill will be on Thursday, December 11. On the motion of the Economic Affairs Committee as leading committee the first reading of the Bill on Amendments to the Maritime Safety Act (204 SE), initiated by the same Committee, was concluded. Motions to amend are to be submitted to the leading committee by 12 January 2004, 14.00. On the motion of the Cultural Affairs Committee as leading committee the first reading of the Bill on Amendments to the Professions Act (201 SE), initiated by the Government of the Republic, was concluded. Motions to amend are to be submitted to the leading committee by 11 December, 10.00. 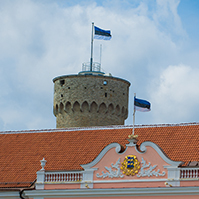 The Riigikogu passed with 51 votes in favour by secret ballot the Resolution On the Appointment of Deputy Legal Chancellor/Adviser to Office (199 OE), submitted by Legal Chancellor. Pursuant to the Resolution, Madis Ernits, Adviser/Head of the 3rd Department of the Office of the Legal Chancellor was appointed as Deputy Legal Chancellor-Adviser. 4 members of the Riigikogu voted against the Resolution and 3 members of the Riigikogu abstained. 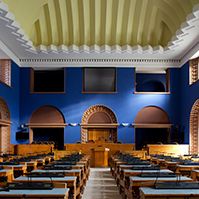 On the motion of the Social Affairs Committee as leading committee the first reading of the Bill on Amendments to the State Family Benefits Act (207 SE), initiated by the Estonian Reform Party Faction, Union for the Republic ? 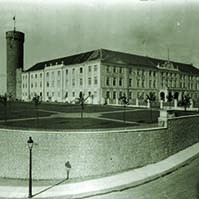 Res Publica Faction and Estonian People’s Union Faction, was concluded. Motions to amend are to be submitted to the leading committee by 10 December, 18.00.